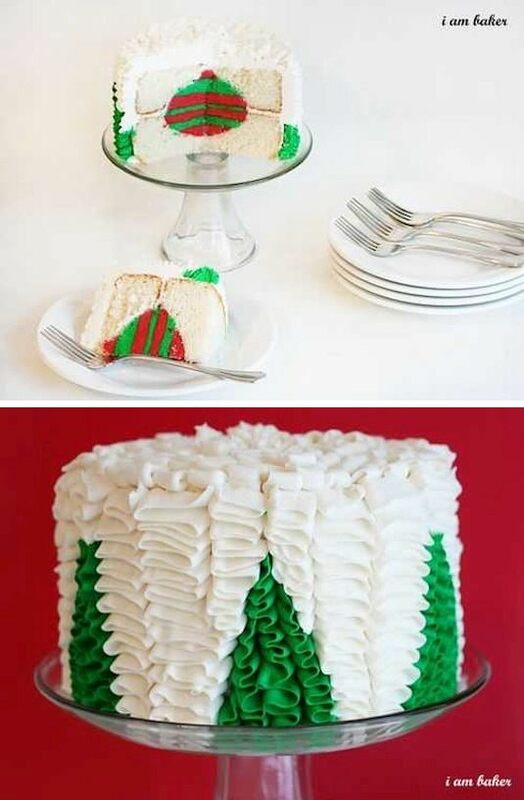 I can’t decide which I like more, the inside or outside of this cake. Both are stunning! The frosting technique is not only beautiful, but leaves you with a nice thick layer of the good stuff. And, the ornament inside–a nice finishing touch! This has got to be one of the most intriguing cake recipes. And, for the most part, it’s made with natural ingredients. From the outside, you would never guess that it’s layered with cantaloup, honey dew, and watermelon. 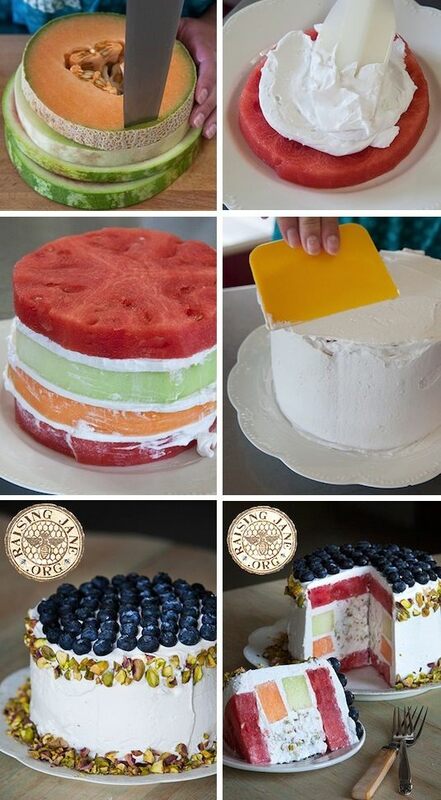 What a refreshing summer treat!